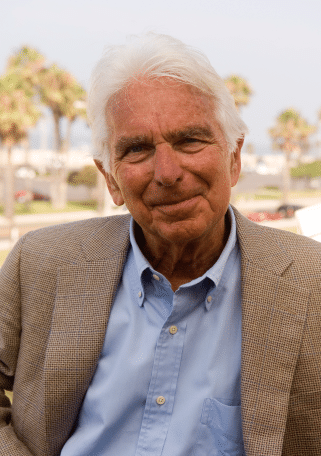 Recently, the world lost a giant in the field of leadership and a remarkable human being, Warren Bennis, who passed away at age 89. I was fortunate to get to know Warren years ago through a mutual friend, Christopher Gergen. Together, the three of us strolled by the beach in Santa Monica, visiting in his home, sharing meals, and—best of all—seeing him in action with his beloved students in “The Art and Adventure of Leadership” course at the University of Southern California. The way he connected with students was remarkable. We also became colleagues of sorts when our book, Life Entrepreneurs, appeared in the Warren Bennis Book Series at Jossey-Bass. Warren’s background is instructive. 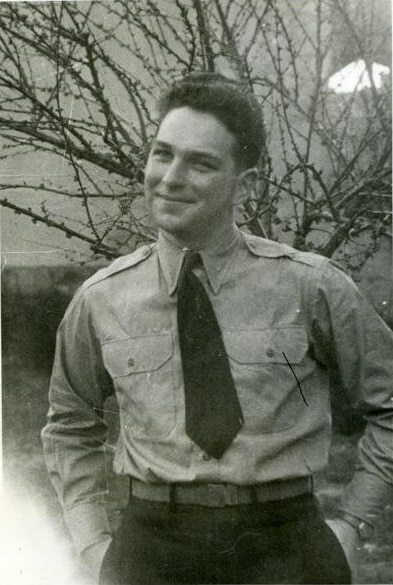 He enlisted in the U.S. Army in 1943 at age 18 and served as one of the Army’s youngest infantry officers in Europe during World War II. For his service, he was awarded the Purple Heart and Bronze Star. Decades later, he related his experiences and feelings about that incredible time with his USC students. He was modest about it all and spoke of being haunted by fear. He spoke of officers who took care of their troops and took time to get to know them and take them under their wing. He talked about being asked as a young officer to lead a platoon, including men much more experienced than he, and about opening up and asking for their help and earning their respect and trust. Warren went on to become a distinguished scholar, professor, consultant, and author, and a pioneer in the field of leadership studies. 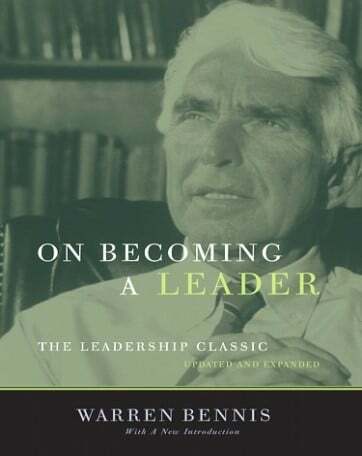 He was called one of the top thought leaders in business, “the professor who established leadership as a respectable academic field,” and the “dean of leadership gurus.” With about 30 books to his name, he became a best-selling author, one of which was nominated for a Pulitzer Prize. His leadership lessons were drawn from different “crucibles,” as he called them. After his military service and his first stint in academia as a researcher and professor, he became provost of the State University of New York at Buffalo and then president of the University of Cincinnati. Years later, again sharing leadership lessons with his USC students, he talked about his many failures and shortcomings as a university leader—and how hard it was (in ways much different than the Army). His openness and vulnerability helped to bring uncommon depth to his classroom. He dismissed superficial and romanticized notions of a “great leader.” He sought to lay bare his own psyche as a human being wrestling with fears, insecurities, and imperfections even as he had high aspirations and deep commitments—and to get to that depth of insight in the other leaders he studied, met, and advised. Through his experiences, research, insights, writing, and teaching, he taught us so much about leadership: the importance of what he called “mastering the context”; of “knowing yourself” and “knowing the world”; of inspiring hope while also looking facts straight in the eye; of formative “crucibles” on the character of leaders; of “operating on instinct”; of being authentic; of changing our notions about leadership from “macho to maestro”; and abandoning instrumental and mercenary approaches to business leadership and instead placing values, heart, and people at the certain of everything leaders do. Personally, Warren was many things: curious and charming, gracious and warm, thoughtful and generous. He had high standards and expected your best. He had a heart for connecting and giving back. He had a gleam in his eye that would light you up too. Warren also taught us, by his own example, about living a good life and aging gracefully: from deep relationships and influential mentoring to distinguished service across different fields. All the while, he continued to learn, develop, reflect, and contribute, even into his twilight years, staying young at heart and thriving by continually connecting and nurturing a deep sense of wonder and grace. Thank you, Warren, for your life in leadership, and your life well lived. Your legacy is so much more indeed. 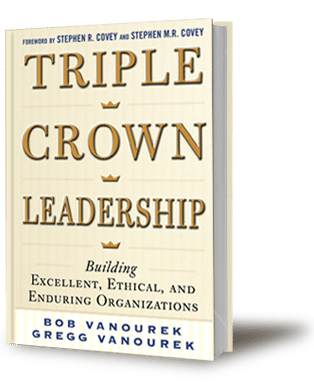 Gregg Vanourek is a co-author (with his father, Bob Vanourek) and speaker on Triple Crown Leadership: Building Excellent, Ethical, and Enduring Organizations, winner of the 2013 International Book Award (Business: General). Like us on Facebook. Plus us on Google. Follow us on Twitter: @TripleCrownLead, @BobVanourek,@GVanourek. Sign up on our website to receive our newsletter and blog.